So, there’s this misnomer that stoners are lazy and don’t tend to get a whole lot done besides smoking up. They lie around all day and contribute nothing to society and eat snacks and waste space. We’ve all heard those ones before, right? Oddly, the people I know who partake in such mind-altering activities all have good jobs, work ridiculous hours, make really decent money, and are creative contributors to society, their workplaces, and the economy. So that “stoners are lazy” thing? Maybe some people are just inherently lazy and still would be if they smoked weed or they didn’t. And who doesn’t eat snacks? What are we, Amish? I don’t know what that means. Another example of folks who certainly are influenced by weed but who happen to find their creative path quite flooded with projects are the dudes who make up English stoner doom rock band Bong. Check their discography. The group officially formed in 2005, and here we are, seven years later, and they have countless recordings to their credit, from split releases to live documents to EPs to box sets to full-length efforts. Sound like the track record of a bunch of lazy people with no drive? Not exactly. So let’s perhaps do away with such a silly stereotype that obviously only applies to people with no ambition. At hand is the fourth long-player from Bong called “Mana-Yood-Sushai,” in stores next week courtesy of English label Ritual Productions, who also put out their 2011 album “Beyond Ancient Space.” If you guessed that this two-track, 46-minute offering would perfectly soundtrack an evening spent in a smoke cloud, you’d be right on the money. But this isn’t just noodling and playing in circles to keep you in a trance. It’s a well-crafted, mystical opus that’s expertly played and sets the proper mood for whatever you plan to do while listening. I actually got a ton of projects done — with a clear head, might I add — at work this week by spending time with this album because it opens my mind and lets me concentrate. I can’t do that with just any piece of music because I’m easily distracted, but I was able to work alongside Bong’s music … even if that wasn’t the intention of their work. This is the first record Bong — Dave Terry (bass, vocals), Mike Smith (drums), Mike Vest (guitar, effects), Ben Freeth (sitar, shahi baaja) — recorded in a proper studio with an engineer (Greg Chandler of the mighty Esoteric), and they pumped this thing out in two days this past December. Certainly sounds like the guys were driven by determination and inspiration, and you certainly can hear that in this album, which is bound to turn more heads and open more ears. It also has an Eastern spirituality to the music, as if the guys are trying to transcend to the next level. It’s enlightening in that sense, almost in the same way as Sleep’s “Dopesmoker,” discussed yesterday, as it often feels like the soul is on some sort of pilgrimage, if the listen allows himself/herself to take that trip. 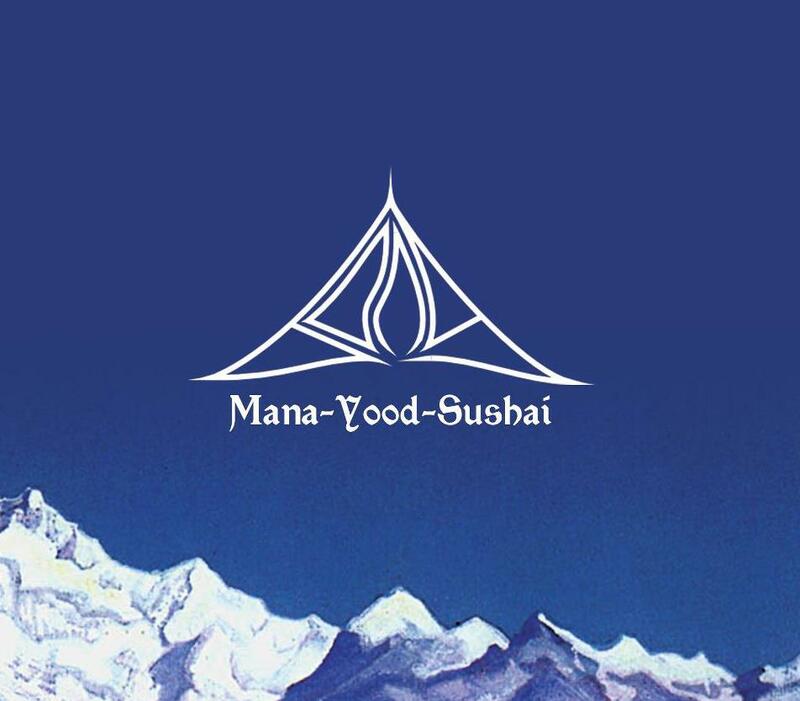 “Mana-Yood-Sushai,” a title taken from the fictional god-like figure in the literary work of Lord Dunsany (Edward Plunkett, a major influence on writers such as Tolkien and Lovecraft), opens with “Dreams of Mana-Yood-Sushai,” the beginning of what the band describes as “a lucid transcendental journey.” The music opens with jangly allure and blends into a psychedelic, mystical bend that keeps you super chilled out. The drone comes into the picture, guitars ring out onto cosmic paths, and everything sails right into the second cut “Trees, Grass, and Stones.” Here, the doom clouds get thicker, the penetrating sitar work sets up shop, and Terry’s Jim Morrison-esque call outs begin. His words resemble something of an incantation, and while he helps you soak up the mood with his words, the rest of the band sets into a mesmerizing loop of repetition — by design — that should relax your mind and body and allow you, too, to float into other universes. It’s great meditation music, so as noted, you don’t necessarily have to roll a joint to get there. 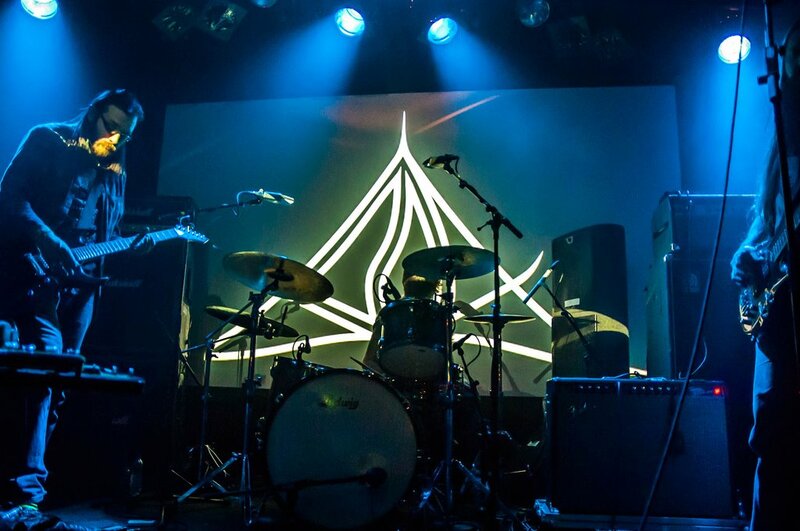 Bong sit closer to the outer edges of metal, but certainly fans of bands such as Sunn 0))), Earth, Across Tundras, Sleep, Om, Horseback, and older Asva could get on board with what the guys accomplish on “Mana-Yood-Sushai.” Plus, it helps to get away from all the decibels and horrors that we metal fans jam in our ears each day. It’s cleansing for the soul to escape and take a trip somewhere non-violent and otherworldly, and Bong do a magnificent job taking you by the hand and letting your eyes see things they perhaps never considered before.